Mumbai local New new Bombardier rake: Central Railway on Thursday received its first newly manufactured Bombardier local train featuring an array of new features like air-conditioned driver cabin, CCTV in ladies coaches, LED lighting among others. The rake has been kept at the Kurla car shed and is expected to be commissioned for operations soon. The train also boasts of stainless steel seats with better legroom and nicer interiors compared to existing rakes. 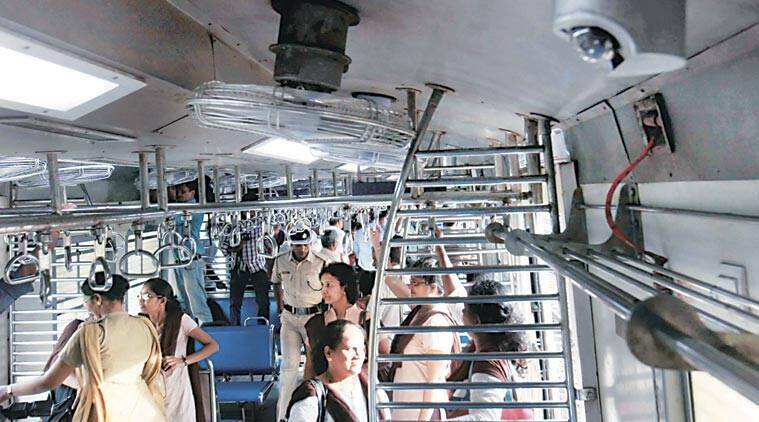 The rake has six to seven CCTV cameras installed in each of the five ladies compartments, in line with Railways efforts to ensure safety of female commuters. The overall fitment of the cameras is also top notch as they were factory-fitted at Chennai’s Integral Coach Factory. In older rakes, the cameras were installed locally at city workshops. With stainless steel seats instead of polycarbonate seats the overall interior of this newly received rake has improved considerably. Earlier this year, Western Railway became the first division to launch a fully air-conditioned local on the Churchgate-Virar route. The train, incidentally, was procured for CR but could not be used on the route due to infrastructural issues.